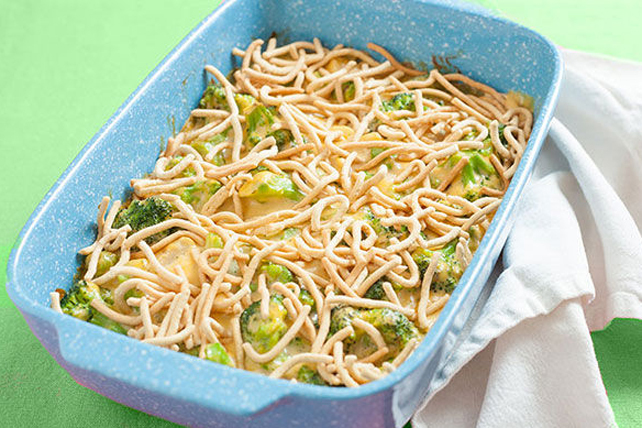 Sprinkle chow mein noodles on this cheesy broccoli casserole in the last five minutes of bake time for a tasty, crunchy topping. Mix Cheez Whiz and soup until blended. Combine broccoli and water chestnuts in medium bowl. Add Cheez Whiz mixture; mix lightly. Bake 35 min. or until heated through, topping with noodles for the last 5 min.